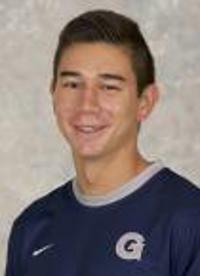 Kyle Zajec is a Center Midfielder entering his Senior year at Georgetown, where he is coached by Brian Wiese. This native of Westport, CT measures in at 5'11", 169 lbs. In 2017, he played in 20 games with 20 starts. During this season, he had 1 goal and 1 assist for a total of 3 points. In 2016, he played in 17 games with 17 starts. During this season, he had 1 assist for a total of 1 point. In 2015, he played in 4 games with 1 start. Kyle is a New York Red Bulls Homegrown Player.